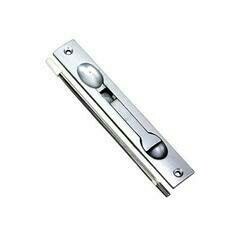 Mccoy 8m TB-R is useful for locking Heavy doors/windows. Also comes in flat head design - TB-F.
Owing to devoted experts, we have been competent to present a wide range of Brass Tower Bolt. These products are made as per industry norms and standards.